Picasso Media is a Central Coast web design and marketing agency. As a full-service web design agency we work to deliver outstanding results for our small business web design clients. We work with clients across the Central Coast, Newcastle, Sydney and Australia-wide. One of the biggest things we hear from our clients when they are first looking for a website is that they want something cost effective and easy to use. At Picasso Media we pride ourselves of providing solutions for our clients that not only make your business look professional but allow you to make your own changes long after your initial website is created. No matter if you are creating a simple website or an eCommerce payment platform you will have complete control over your website. Along with being easy to use your website should bring you more leads, increase your sales and position your business as an expert in your field. 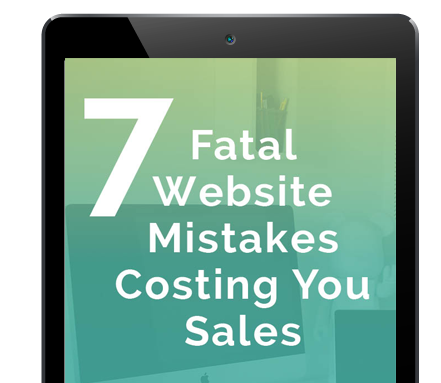 Your small business website should be affordable and easy to use – you don’t have time to learn any coding and guess what… you don’t have to! Picasso Media provides your business with an essential mix of innovative design and strategic marketing that will ensure your website doesn’t just look good, but actually gets you, customers. We can work with you on a range of marketing activities from website design to your overall online marketing strategy. Working with a business who understands both sides of design and marketing gives you the competitive advantage. Get a high end marketing website with an affordable solution. Your customers will have a great experience on your website no matter what device they are using! In some industries over 50% of people access websites using an iPhone so you need a website that is user-friendly and will ensure that people can use your website easily – no matter if they use a mobile, tablet or larger laptops and desktops. Do you know how many leads your website is bringing your business? Are you happy with this number? If you are like most business owners you won’t be sure how many leads your website is bringing you. And most business owners would love to increase their leads that are coming in. Because more leads mean more potential clients to your business. Let Picasso Media do a complimentary website review for you. We can provide you with easy to implement ideas to improve your website conversions to bring you more business. Are you looking for a local marketing agency to help skyrocket your business? What would it mean to you to double or even triple the amount of leads and clients coming into your business? We work closely with our clients on their online marketing strategy, we are essentially your own outsourced marketing department. We have several marketing packages that incorporate social media, search engine optimisation, email marketing and web strategy to build a strong marketing strategy. We implement the best in online strategies to get your website working hard for your business. Want clients to find you easily in the search engines? We have easy packages to help. We can set up and implement your lead and conversion funnels to nurture your leads and marketing efforts. Picasso Media is conveniently located close to Wyong and Tuggerah. As a leading Central Coast web design and marketing agency that are proud to have been operating on the Central Coast for 10 years. We have worked with many local Central Coast businesses to create engaging websites that get them customers! As well as web design services for the Central Coast we also can help out with a range of website services such as website management, SEO, website hosting, email marketing, social media support and more! With so many options for online marketing, it can be confusing to know what you should be doing for your business. Picasso Media take away the guesswork and assist you to build a solid online strategy for your small business. Our solutions are created with the big picture in mind – growing your business and getting more clients.